The festival, which is in its 25th year, will host its annual fundraising dinner in March. And to help attract a bumper crowd, organisers have asked along Brian Pettifer as a guest speaker. The actor, who was made famous with regular appearances in the Scottish comedy series Rab C. Nesbitt, has recently starred in the Netflix series Black Mirror and played the role of Angus in the remake of Whisky Galore, which was filmed in the village’s harbour. He will now return to the port on March 23 for the dinner. 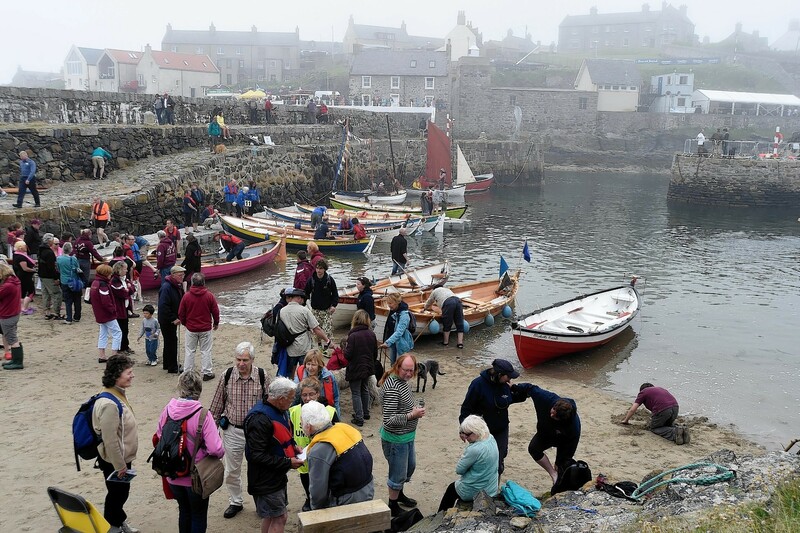 Keith Newton, the festival’s co-chairman, said: “We are delighted Brian has agreed to join us at the dinner and are very much looking forward to welcoming him back to Portsoy and hearing from him about his interesting and varied career. “It goes without saying that Brian’s presence at the dinner has attracted a lot of interest and tickets for the event are selling very well indeed. Proceeds from the event go towards the operational costs of the annual festival – which this year takes place on June 30 and July 1. To mark the festival’s 25th year, organisers have this year asked attendees to share their fondest memories and memorabilia with the wider public for a special exhibition during the weekend event. Interest in the event has surged in recent years thanks to the filming of Whisky Galore, featuring Mr Pettifer and stand-up comedian Eddie Izzard. Figures released since the film was released have indicated that 10% of the people who attend the festival come from overseas.